Yes, send the downloadable prospectus and course updates to this email address. 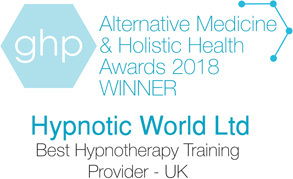 With Hypnotic World's comprehensive, easy-to-follow course, you can learn hypnotherapy from home, in your own time, while benefiting from as much practical training as you decide is right for you. More and more people are turning to hypnotherapy and discovering the benefits of stopping smoking, losing weight, and overcoming less common issues such as specific phobias. Each of the course's 8 self-study modules equips students with the confidence and skills they need to excel beyond other practitioners in helping clients with a wide range of problems. Gain professional experience with one-to-one tuition and attend course workshops with our experienced hypnotherapy trainers. Our hypnotherapy training course is accredited by the ACCPH, and is quality checked by the National Hypnotherapy Society. Self-enrol any time as a student and begin studying the Professional Hypnotherapy Course. Get email & phone support from your assigned personal tutor, access the student forums and receive after-support when you start practising. Order all 8 modules at $755.92 or take the Pay-As-You-Learn option and order each module as you need it at $104.99/module.